Isolation as a big firm associate is a common problem today. 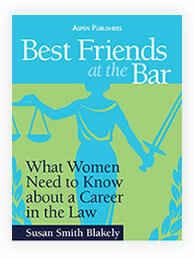 Settings like Big Law are very impersonal, and young lawyers can go days and sometimes weeks without any conversation with another member of the firm — especially with partners and especially conversation that demonstrates any real interest in the young lawyers at all. Sad but true. 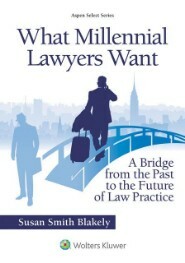 I am repeatedly told this by young lawyers, both male and female, and I spend a lot of time writing about it in my new book, What Millennial Lawyers Want, which will be released by Wolters Kluwer/Aspen Publishers this summer. 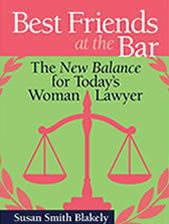 It is a very big problem and one that all lawyers need to be thinking about. And after the thinking, those same lawyers — particularly those in management and leadership in large firms — should put their efforts toward doing something about it posthaste. 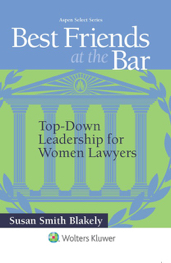 The young lawyers in these firms are its future leaders, and succession plans are bound to suffer unless current management and leadership come to grips with changing times, which include greater need for personal interaction, positive reinforcement, and effective mentoring to combat the mental drain that isolation has on young lawyers. You can feel lonely because you don’t have a significant other. You can feel lonely because you don’t have people you can trust and confide in at work. You can also feel lonely because you’ve been working way too much and you feel disconnected from yourself. Take tiny actions. Email a friend you haven’t spoken to in awhile. Call your mom. Whatever tiny action you can take to break the isolation — start there. See a therapist. If the loneliness feels debilitating or you’re having difficulties managing it on your own, consider seeing a therapist. Remember that you are not alone. Everyone experiences loneliness sometimes. Join online communities. There are many online communities for just about every interest. Go on Facebook, LinkedIn, Twitter and look for people who share similar interests. And, I would add, if online communities are not for you, make a list of your interests and look for local organizations and groups devoted to those same interests. Maybe it is golf, biking, hiking, gardening, reading, fly fishing, music … and the list goes on and on. There is a group for almost every interest you may have. Refuse to be satisfied with loneliness. It means that you must become proactive, but the rewards will be immeasurable. It will feel so good to knock loneliness out! < Thought For The Day: Serving others helps me find me. AMANDA AGANA, track star at US Naval Academy and survivor of abuse in Ghana.